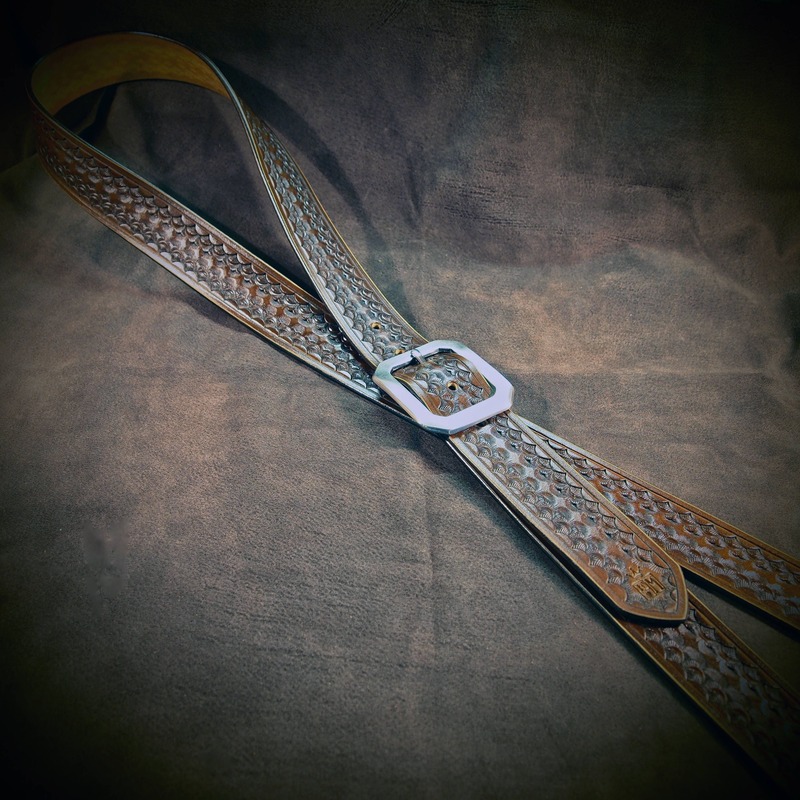 Brown Leather Guitar Strap : Hand Tooled and stamped by hand. Competely Handmade for YOU in New York! 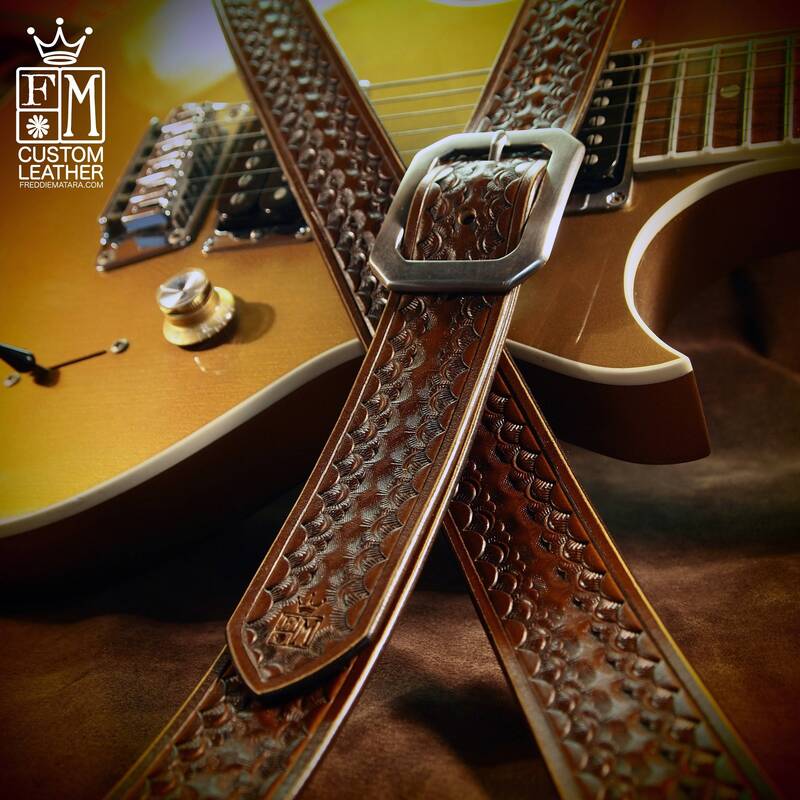 This brown leather Guitar Strap is completely handmade using 8/9 oz. Grade "A" Vegetable tanned leather. It is hand dyed a rich tonal brown , hand tooled, aged and waxed using traditional American Old West techniques. 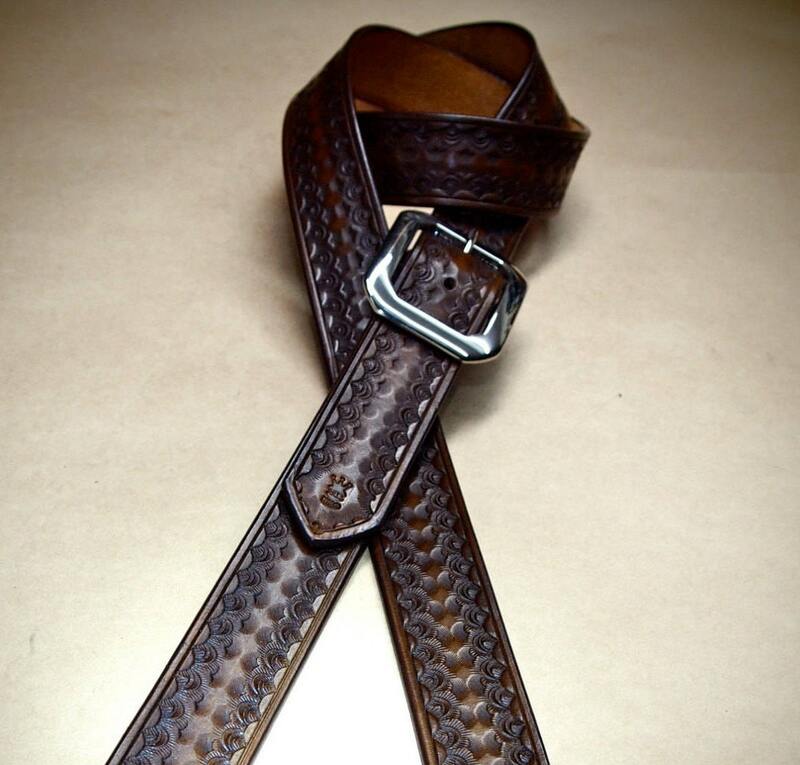 At 1.5" wide, it's a great medium width that is very comfortable to wear. 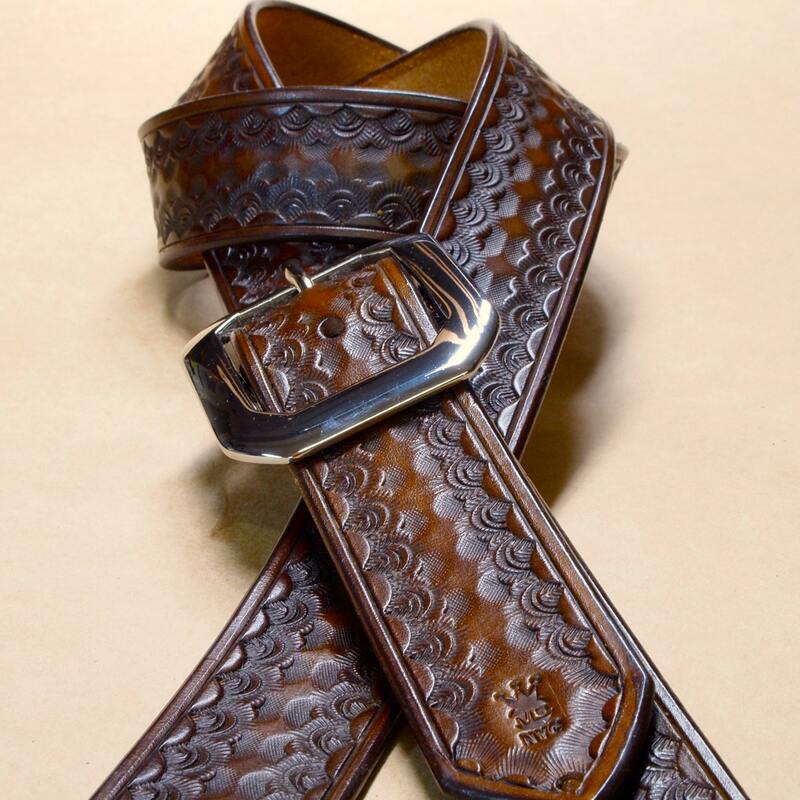 A beautiful hand distressed nickel buckle provides adjustment. Made for guitarists by a guitarist! I’ll need the hole to hole size from your current well fitting strap! Please use the diagram in the pic above!